Jimmy Jinks loves to help people in his town, fixing their broken sewing machines, old umbrellas, or dull lawn mowers. 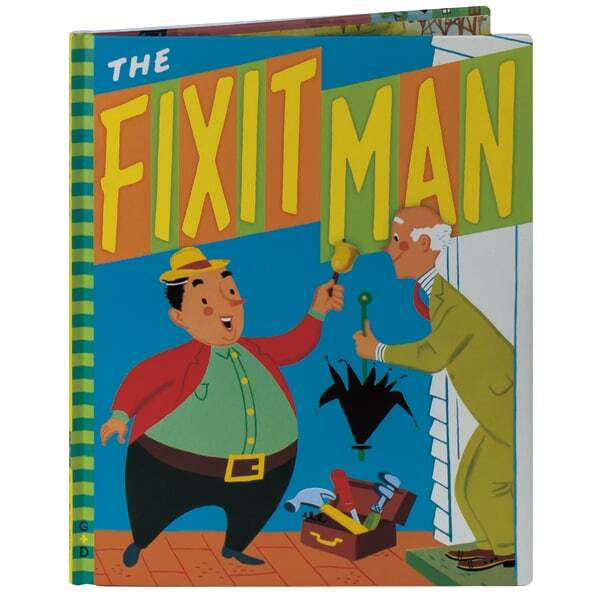 He's the Fixit Man, and when he decides to take his cart on the road to find more people in need of his services, he's met with grateful smiles (and sometimes a piece of cherry pie) wherever he goes. Illustrated in classic midcentury children's book style by her husband George, Irma Wilde's 1952 tale for readers 4 to 7 is part of the G&D Vintage series of newly reprinted Wonder Books from the 1940s, 50s, and 60s. The lap-sized edition is ideal for reading aloud with youngsters, and offers a vivid snapshot of a bygone era.